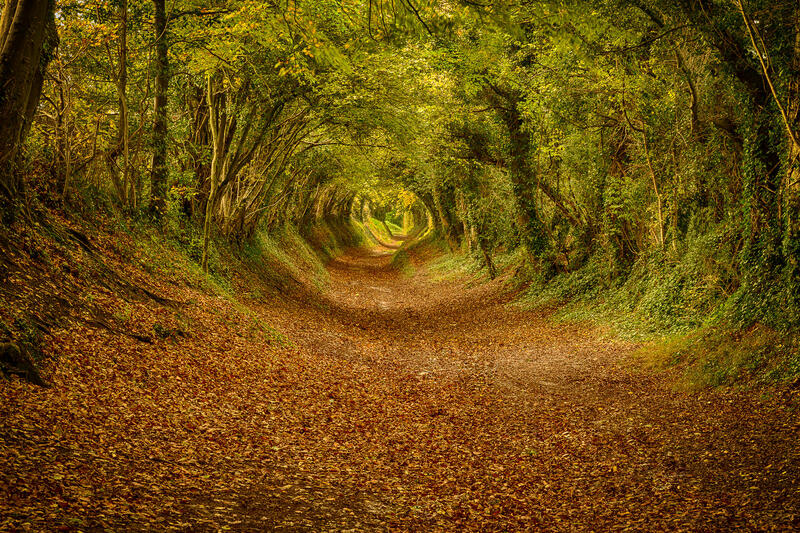 Directions: Near Chichester in West Sussex, England Halnaker. From the A285 walk out of the town on Denge Ln and immediately turn right (East-northeast) onto the path that leads up to the old windmill. You will walk right through the tunnel. At the point where you go through a gate and make a left turn up the hill to the windmill, you are at the best spot to get a great picture of this tunnel. I took my picture of this tunnel in the fall/autumn and I suspect it is the best time of the year to get the picture because the colors are the richest and warmest. In fact I took this picture in early November. I photographed in the morning, and a bit of sun provided the look I liked. However, I have seen other more moody pictures that may have been taken on a gray day. I would like to go back in other conditions and experiment. I used a tripod to take the picture and a Nikon D600 using 24-120mm lens at 75mm a f/14 as I wanted a reasonable depth of field. 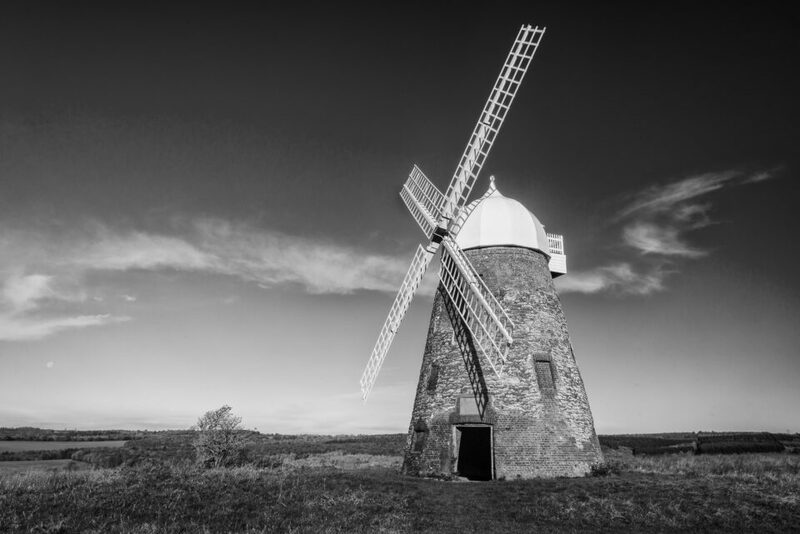 While here, continue up the trail to the windmill which dates back to the 16th century. It is worth exploring and provides great additional photography opportunities too. Oh, I was very close to the spot last September. Had I known this earlier, I would have driven there from Bognor Regis. Anyways, there is always next time. Thanks for sharing. How far is the tree tunnel from Central London? Is the tree tunnel easy or hard to find? I’m visiting London in September and wonder if this is a good time to photograph. You would have to catch a train from London to Chichester or Bognor Regis. It will probably take an hour or so. Then you would need a taxi or buses to get you the rest of the way.